The North American musician Scott Feiner celebrates a decade living in Brazil with the show of his third CD "Accents". 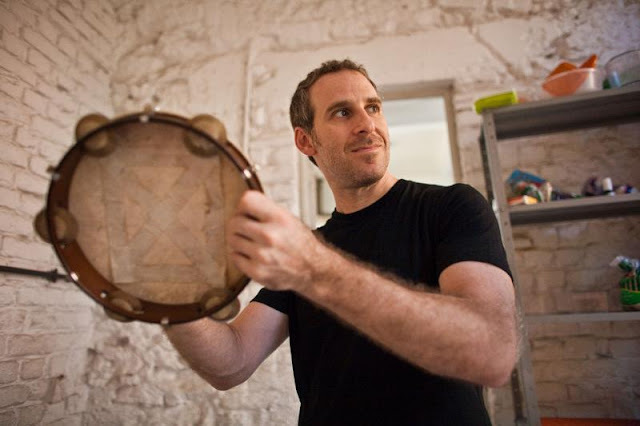 The pandeiro jazz innovator Scott Feiner will take the stage with the same musicians that played on the recording sessions: Freddie Bryant (acoustic and 12-string guitar), Joel Frahm(tenor and soprano saxophone) and Joe Martin (bass). Scott Feiner's musical story is not a common one. Not only is he an American pandeiro player, but he also introduced this Brazilian hand drum to the world of jazz in a highly personal way. He is native of New York City! In the early '90s, he was a respected guitarist in the New York Jazz scene, but in 1999, during his first trip to Brazil, Feiner discovered the pandeiro, the instrument which would become his passion and new means of musical expression. The show will be tonight at the Solar de Botafogo, in Rio de Janeiro! breast implants that are said to do with to get his or her preference.